R.U.M. hopes to restore not just the mangroves, but also the community that live with and love the mangroves! So let's support Syazwan Majid who single-handedly organised this first-ever homecoming in decades for former Malay residents of Pulau Ubin who live around Jalan Durian, the location of our R.U.M. restoration site. The event is free and open to the public. 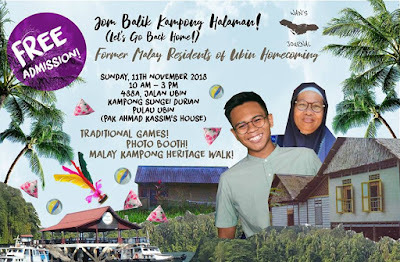 There will be traditional games, a kampong-themed photo booth and Syazwan will also do a guided heritage walk around Kampong Surau. 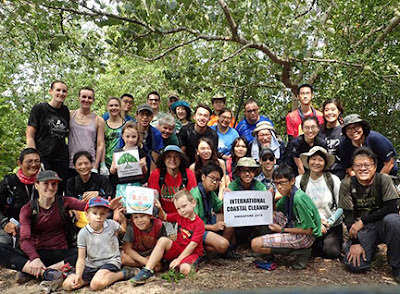 A great opportunity to get to know the community and learn about the heritage of this special part of Ubin. He needs volunteers! So please lend a hand if you can. 'Ubin, Sayang' is a gorgeous film by Rachel Quek and her team about the people of Ubin and the Restore Ubin Mangroves (R.U.M.) Initiative.